SAF-HOLLAND is represented on all continents. We distribute our products and services worldwide under the brand names SAF, Holland, and NEWAY . Mounts on the tractor and serves to secure the semi-trailer to the tractor unit by coupling to the trailer kingpin. In addition to its classic products, SAF-HOLLAND manufactures technical specialties such as a lubricant-free fifth wheel or especially lightweight aluminum designs. 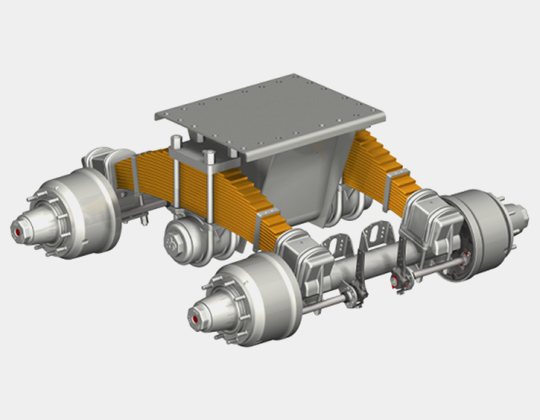 An interface between the axle and the vehicle to accommodate road variations and maneuvers. 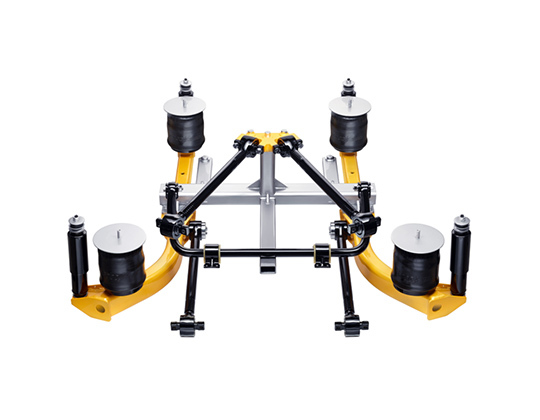 A modular suspension system by SAF-HOLLAND for up to three interlinked, powered axles. Each axle is individually suspended. For gross vehicle weights of between 10 and 40 tons. Mounts on the semi-trailer and couples with the tractor fifth wheel. SAF-HOLLAND products are sold around the world and are among the safest on the market. 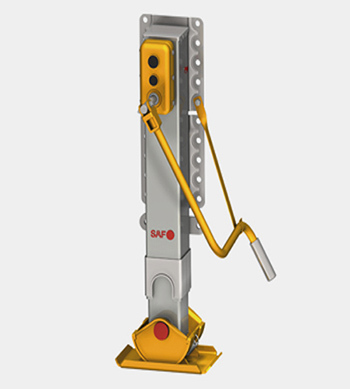 Retractable gear that supports the front of a semi-trailer when it is not secured to the tractor unit. SAF-HOLLAND landing gear has a special coating that increases its service life significantly. An axle system consists of an axle, a suspension system, and a brake system. 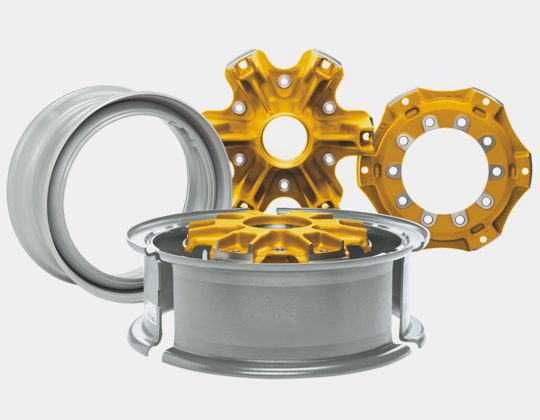 SAF-HOLLAND offers unique axle systems such as INTRADISC plus INTEGRAL which utilizes proprietary disc brake technology. Subject to certain conditions and bearing in mind the existing warranties, SAF-HOLLAND provides maintenance cost free for the INTRA ALL-IN axle system for a period of up to 72 months or one million kilometers. SAF-HOLLAND suspension systems are on the move in all countries and on all roads. This extensive product range offers solutions for almost every requirement, including the possibility of cost effective chassis optimization for improved profitability in our customers’ fleets. Coated SAF-HOLLAND fifth wheels, which do not have to be lubricated, offer our customers a clear advantage: In addition to lower operating costs, this product also protects the environment. 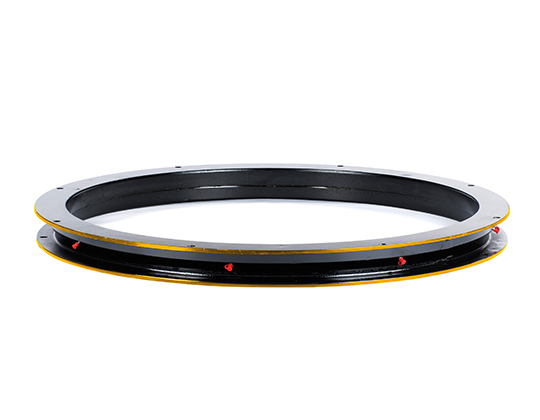 SAF-HOLLAND wheel systems are particularly interesting if the end customer wants to help himself and if helping himself becomes a necessity: If required, the tire can be removed from the TRILEX rim without mechanical assistance. Both the individual wheel and the tire or tube can therefore be quickly and easily changed on site. The innovative axle systems from SAF-HOLLAND, such as INTRADISC plus INTEGRAL, are characterized by future-oriented technology, exemplary product features and outstanding performance. The newest innovation is the INTRA S, which has a weight-optimized SAF INTRA suspension handle bar design for the 9-ton range with a maintenance-free axle connection. SAF-HOLLAND has already secured a leading market position in this area. The focus is on technical innovation and weight-reduction. 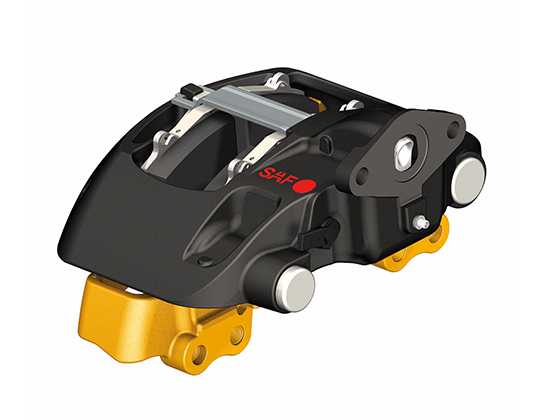 SAF-HOLLAND is a technological leader with the patented disc brake technology INTEGRAL, and the new generation of SAF SBS disc brakes are setting the standards in the trailer area. SAF-HOLLAND landing gear has proven itself worldwide and under all conditions of use. 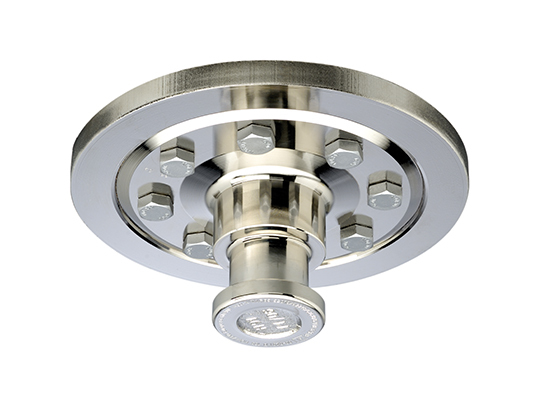 Kingpins are produced and adapted to their specific use, using selected alloys. Superior material properties, rigidity and toughness are the basic characteristics of kingpins. SAF heavy duty axles and mechanical suspension systems are designed for special transport tasks and have a particularly rugged design. They perform particularly well with heavy axle loads and in difficult terrain. 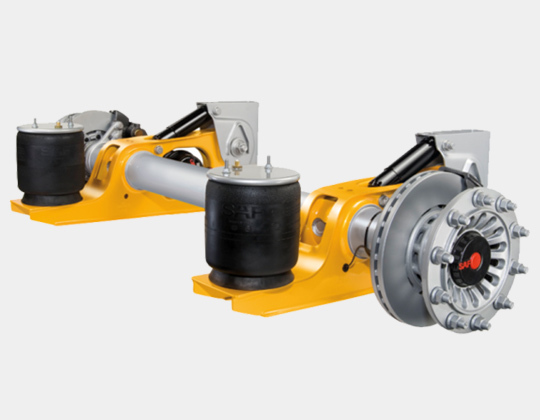 The SAF-HOLLAND ball races are optimized for truck drawbar trailers and are used for agricultural vehicles in road operation. The extensive product range of SAF-HOLLAND offers solutions for almost every requirement – from light bus suspension systems to special designs. 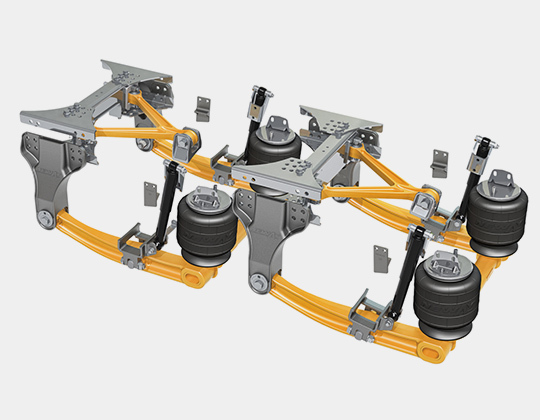 The Corpco J-Beam air suspension systems fulfill the high quality requirements of electro-mobility and are ideally suited to the limited installation space in these buses through the new J-form.